Backflip Gymnastics is a gymnastic company for children aged between 2-11 years. 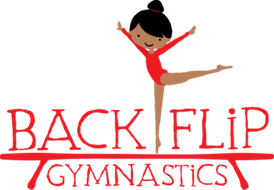 At�Backflip Gymnastics�we teach gymnastics in a safe and interactive environment. Children benefit from badges and certificates, fantastic equipment including our amazing Bouncing Air track and competitions throughout the year. For more information on your nearest centre please call 0208 940 7998 or visit our website for further information.